Bring a medium saucepan of water to the boil, and add the pasta. Reduce to a simmer and allow to cook for 8 to 10 minutes. Meanwhile, peel and finely slice the onion, and very finely chop the chilli and parsley. Put into a pan with the oil, lemon zest and juice, and cook over a medium heat to soften. When the pasta is cooked, remove from the heat and drain. Quickly stir the yoghurt and fish paste into the onions to warm through. Tip the pasta into the pan and coat with the sauce, and serve. 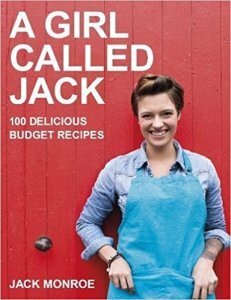 This recipe was published in A Girl Called Jack, with photography by Susan Bell. All rights reserved. Pizza Express? Or Prezzo? Its not clear. made this for my housemates this evening, i added a few sliced cabbage leaves from a small forgotten savoy and a handful of frozen peas, and used dried mint and dill since our parsley supplies were down. delicious and well received by all! doesn’t taste thrifty in the slightest. I was trying to work out what product the ‘fish paste’ was from your previous fishy post. Is it really the stuff that comes in tiny pots and is aimed at sandwiches? very interested in your use of this product, will def have a look at those, would never have thought of using them in a meal (other than sandwich)! Wouldn’t that small amount of lemon juice evaporate before the onion has cooked? I’m impressed. It makes perfect sense, the dish, I’ve just never thought of it. Ingenious. My God, that’s genius Jack! Hi Jack, my other half hates fish…….do you think this would work with chicken paste? I know the salmon one iPad quite a strong flavour ( from childhood memory) can’t remember if the chicken one has the same!? The parcel I sent for you arrived at your Southend Office today and is waiting for you in Reception. I sent it Special Delivery and checked at lunchtime to see that it had arrived OK. I hope you will be able to pick it up soon. Another interesting recipe! You’re very inventive. Well done! Absolute genius! Can’t wait for your book. My seventy four year old mum told me about you. I hope you don’t mind but I use your website in my gcse ethics class. If ever you want to visit our school it would be a privilege to host you and the Small Boy! Serious offer! By the way I am Naomi! I know what we’re having for tea tomorrow… some serious salmon fans here! This looks fantastic. Once the school holidays start and the pressure has lifted, it’s top of the list! Thank you. Such a genius idea. I’m veggie so I wouldn’t have the fish, but I have a mushroom pâté I might be able to do something with. Thanks. Eating it now!! (but without the parsley – haven’t started my herb growing yet). It really is lovely, but I put more pasta than you – but that’s the cheap bit anyhow. I have just cooked this and my considered verdict is … absolutely delicious! What a brilliant way to use the humble and largely despised fish paste in a jar. Like most really good ideas, you wonder why no one thought of it before. I used spring onions, as they happened to be to hand, and a generous sprinkling of black pepper. I’ve been seeing a lot of pins on Pinterest about growing your own vegetables from your leftovers. Like green onions from the bottom of what you bought. Also, garlic and celery. Have you tried this? It would make a nice addition to your book. I grew the bottom of celery, but it went to seed. I also left it in a pot too small for too long. It definitely works though, I’ll give it another try soon. We had this for tea the other night and it was absolutely brilliant. A recipe I’ll be turning to again and again. It simply HAS to go in the book. I’ll be blogging about it in the next couple of days if that’s okay, and I’ll include a link to you. You are amazing! When does your book come out? 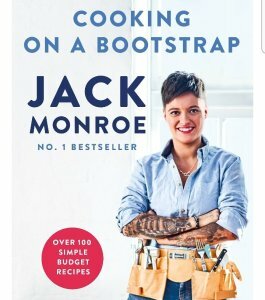 Hi Jack – I made this today and I too used spring onions. It was seriously fab! Served it up to himself but didn’t tell him what it was. Verdict was a supreme bit – then I showed him the empty fish paste jar. He couldn’t believe it so then I showed hime the recipe. the salmon paste costs rather more here though (rip-off Ireland) but still an amazingly cheap and amazingly delicious supper. Power to the frugal necessitators! I made this on Tuesday. It tastes beautiful and it’s a great mid-week dinner as (including my slow preparation skills) you can have dinner ready in less than 25 minutes! Enjoyed it so much that tonight I’m having a play with a jar of crab paste, I will let you know how I get on. Thanks again for your inspirational recipes! Keep up the good work, Jack. This is so refreshing after all the foodie snobbery that is in vogue a the moment. It’s a reminder to me to stop wasting food; I regularly end up throwing stuff out because I haven’t thought carefully enough about what to eat when. I hope your book is a success and that you get a tv programme! I just made this and thought it was quite a nice quick and most importantly cheap meal, very tasty. Another great thing is that my little boy who is two and the fussiest of all my children seemed to love it too and kept pinching mine. Tip for saving a little bit on fuel – bring the pasta to the boil then turn the heat OFF and put a lid on. Leave it for about 7 minutes and it should be cooked al dente. if it isn’t, put the lid back on a leave it for another couple of minutes. This also works for rice. And for boiling eggs 🙂 Boil for a min, then put lid on and leave for 10mins. It works for a lot of things, especially greens if steaming them – you just need a well fitting lid. And I’ve also started t turn off the kettle before the it switches itself off as it seems to spend time boiling unnecessarily. Penny pinching but my need is greater than NPower’s! Hi jack! Great blog. Tell us: what kind of yoghurt do you use? How thick/ thin , does it work better with 3 / 10 % , greek/ bulgarian / plain yoghurt ? What is plain yoghurt? 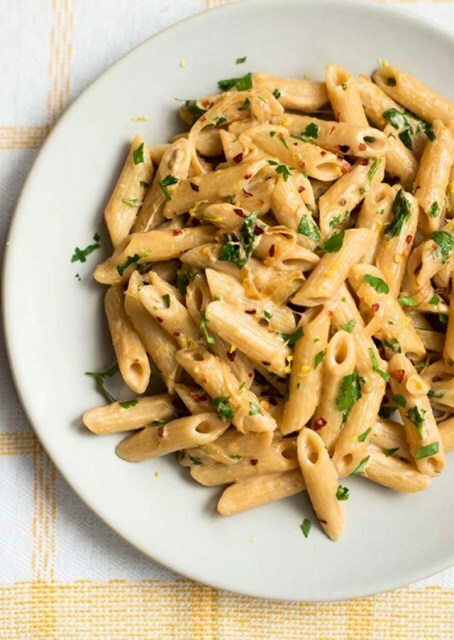 Had your potato soup for lunch…..
And now just had your salmon pasta with a lemon & chilli kick for tea…. All I can say is ….WOW…..
Will be using these recipes again….DEFFO !!!!!!! 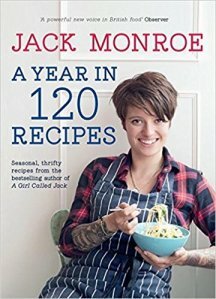 Just made and eaten this delicious, simple and inexpensive supper, thank you Jack. Now the government has given me extra money because I am disabled,Im no longer entitled to other benefits e.g council tax benefit, free prescriptions etc. Your cheap tasty meals will help me meet my new financial challenges in a positive way. I seriously admire what you have, and are, doing. What can I say but…..WOW…. And had your Salmon Pasta with Lemon Chilli Kick for tea….. Deciding what to have on tomorrows menu….nom nom…..
Whoops…..looks like I’ve replied twice…. Didn’t think the first one posted…. Do you think this would chill down & save in the fridge to take to work for a cold lunch? It sounds yummy! Genius! This is delicious. I save fuel cooking the pasta by bringing it to the boil, putting the lid on and turning the power off. Super quick, delicious and filling. Considering the ingredients, this has been one of the most surprisingly delicious meals I have made. The lemon really brings out the flavours. Genius! Keep them coming Jack! Love it! I used Tesco’s Smoked salmon taramasalata, currently 2 dips for £1. Each tub contains 167g and I used 1/2 a tub. Tasty – you’re right that the flavours really work together. Thank you Jack! What you are doing is amazing! Necessity clearly the mother of invention. You mention Tesco and Sainsbury’s – sometimes in Morrison they have exellent deals on items like beans and chckpeas – 4 tins for a pound, for example. Also in the more ethnic shops, if you have any in Southend, there are deals on tins but also, more advantageous, large bags of spices (eg Cumin) at a fraction of the supermarket cost. You cna use these to refill your supermarket spice jars. Anyway, thank you for bringing so many worthy issues to the fore. Well done! My three year old son has just declared this dish ‘splendid’. He’s not wrong. This is what I had for lunch today, though I found I hadn’t any natural yogurt and had to use cream instead. Very tasty and filling, and I think a mini portion would make a great starter, perhaps made with soup pasta. I have a similar recipe to your salmon pasta which I’ve made a few times and might be good if you’re a thrifty veggie like I am. I can’t take the credit – my Mum gave me this one! I get three hearty portions out of it. Cook your pasta (I use a microwave steamer). While you are doing this, cut your onions into small pieces, chop up the garlic and the mushrooms in another pan. Once they are done, add your soup and garlic cheese if you are using this in the pan with the onions and garlic – it makes it creamier. Grind some pepper over it. Leave the soup to thicken and reduce so it makes a sauce. This takes 10-15 minutes. Drain the pasta and mix in with the sauce. Serve with some grated cheese. Just had a go at this in my uni flat, but was a bit limited on supplies so went for some substitutes – chilli powder for a chilli, lemongrass water for lemon juice, dried mixed herbs for the parsley; then just added some leftover cream and chive dip to the yoghurt as my housemates are very gracious. Had this for dinner tonight – delicious! Thanks for introducing me to fish paste! il definately be makeing this , could you add garlic or would it be weird ? btw you are an inspiration to me , i was a single mum at 17 with a sb , 5 years on im married with anouther child and a morgage (which is insidenly nearly half what i payed in rent !!!) so my life ended up pretty good after stuggleing for 2 years, myself and my husband pay tax with pride know that in a way,were not buying fags for alcoholics but holding the hand of people in unfortunate circumstances that deserve far more than the pitance there given ! I’ve made the cookbook version of this which includes garlic and a whole onion, twice now. It’s delicious. I can’t help wishing for you Jack that you had Aldi on your doorstep instead of Sainsbury’s. This recipe is gorgeous! (As long as you can hold your nose long enough to get the fish paste in the cooking!). I used conchiglie as I had it kicking around (also because I used to make a recipe with (value/basics) liver pate, canned button mushrooms, cream and tarragon (I think), which specified that shape as being good for holding the flavours, which it reminded me of. Absolutely delicious! Used a tin of salmon and threw in the end of a tub of cream cheese that was loitering in the fridge, and a wee bit of garlic. Clean plates from initially dubious partner and SG, definitely will be added to our regular meal list. Love this , is my go to if cooking for myself. I havce also made it at the Abbeyfield home for the Residents supper and they lioked it and said it was really tasty. This was the first full recipe I was brave enough to try making from all of your recipes, and it was a success. I think, budget allowing, this would work wonderfully with a tin of tuna spread throughout, offering some more substantial chunks. But thanks for providing such an enjoyable, simple treat that can be easily played with and developed into so many other recipes.